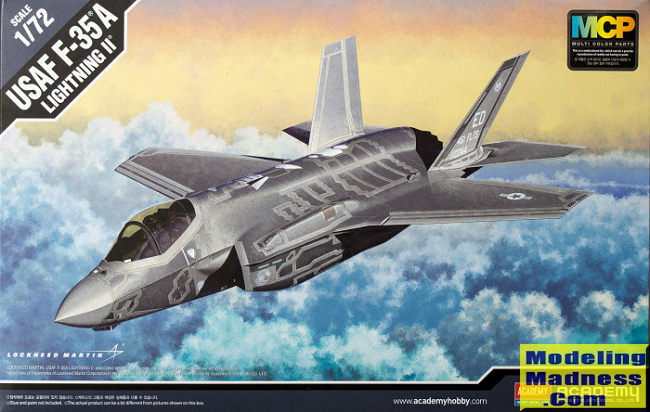 The F-35 is descended from the X-35, the product of the Joint Strike Fighter (JSF) program. It is being designed and built by an aerospace industry team led by Lockheed Martin. Other major F-35 industry partners include Northrop Grumman, Pratt & Whitney and BAE Systems. The F-35 took its first flight on 15 December 2006. The United States plans to buy 2,443 aircraft. The F-35 variants are intended to provide the bulk of its manned tactical airpower for the U.S. Air Force, Marine Corps and Navy over the coming decades. Deliveries of the F-35 for the U.S. military are to be completed in 2037. F-35 JSF development is being principally funded by the United States with additional funding from partners. The partner nations are either NATO members or close U.S. allies. The United Kingdom, Italy, Australia, Canada, Norway, Denmark, the Netherlands, and Turkey are part of the active development program; Japan and Israel have ordered the F-35 and are currently receiving their planes, while Singapore may also equip their air force with the F-35. South Korea decided to purchase F-35s in late 2013. Despite being 5 years old, the Academy kit seem to me to be up to current standards in the case of the development of the airframe. Talking to people from the 388th FW last year, the USAF is still developing wing pylons so one doesn't have to concern oneself too much about hanging a bunch of stuff from the fuselage or wings. I should mention that the kit does include pylons, but finding a photo of one with these items installed will be difficult at best. Google shows one alleged IAF plane with them and a prototype undergoing tests. Leave them off for now. The kit is part of Academy's 'Multi-Color Parts' series which means one of the sprues is in white for things like wheel wells, landing gear, and intakes. The kit also has the fairly large and positive locators that have become a standard of their newer kits. Some like them, others do not. I think they are a good thing. Instructions start you off with installing the intakes, weapons bay, and gear wells before moving on to the cockpit. The tub is nicely detailed and you have a pilot figure to use. Instrument panel has decals you can add if you wish. This assembly fits atop the nose gear well before being installed in the lower fuselage/wing half. Not sure if this needs nose weight as none is indicated, but I'd add a bit just in case. Landing gear is nicely done with the tires in black plastic. For those who want the weapons bay open to show the JDAMs and/or AMRAAMs, there are various racks and mounting points. Those who opened the holes in the lower wings for the pylons can install those at this time. Those who are lazy (like me), there is a separate weapons bay door piece for the closed option. You can also do the gear up, though no stand is supplied. After all this is done, you add the tailplanes, fins and exhaust. Cockpit canopy can be posed open or closed. The kit also provides some small transmitting antenna bumps to allow air traffic control radars to 'see' the planes. Instructions are well done with references to a variety of paint lines. Markings are for two test units and the training squadron. The aftermarket guys have sheets for more recent units. 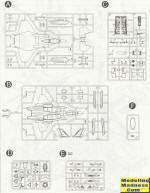 Note that you do not get decals for the tape that is used on all the panel lines. For this, you need to find an aftermarket set. Wolfpak decals does a sheet just for this kit. The colors do not come in a ready to use paint, apparently, and you have to mix for the two greys. Ratios are provided. Decals are nicely done and you get all the stencils along with a guide. I am one of those people who really isn't all that jazzed about modern jets. I don't build many as they simply are not from 'my era' so to speak. However, there are some very nice kits on the market and you can add this one to that listing. It should be a fairly painless build and will result in a nice model. Thanks to me for picking this one up.